P.S. Poly can jump up in to the Playscape. No struggling, she can just hop right in. 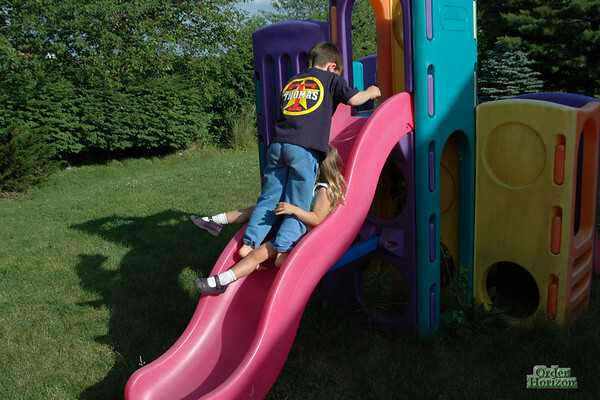 However, she only did it a few times because the last time she did it, she pushed on through to the top and went down the slide. She landed on her chest and face and slid about 5 feet along the grass in that position. I have not seen her on the Playscape since.